This perennial dies back to below ground level each year in autumn, then fresh new growth appears again in spring. 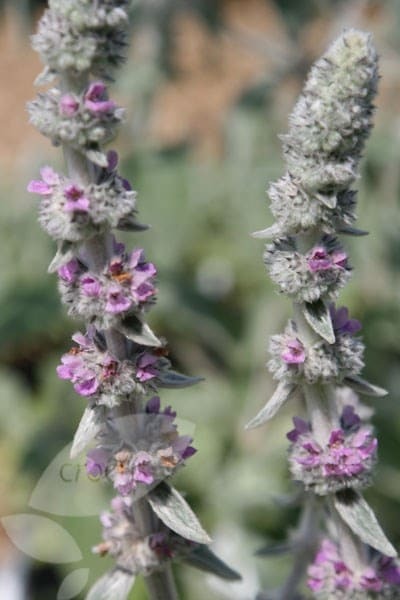 Soft spikes of woolly, purple flowers from June to September above rosettes of large, greyish white, felted leaves. 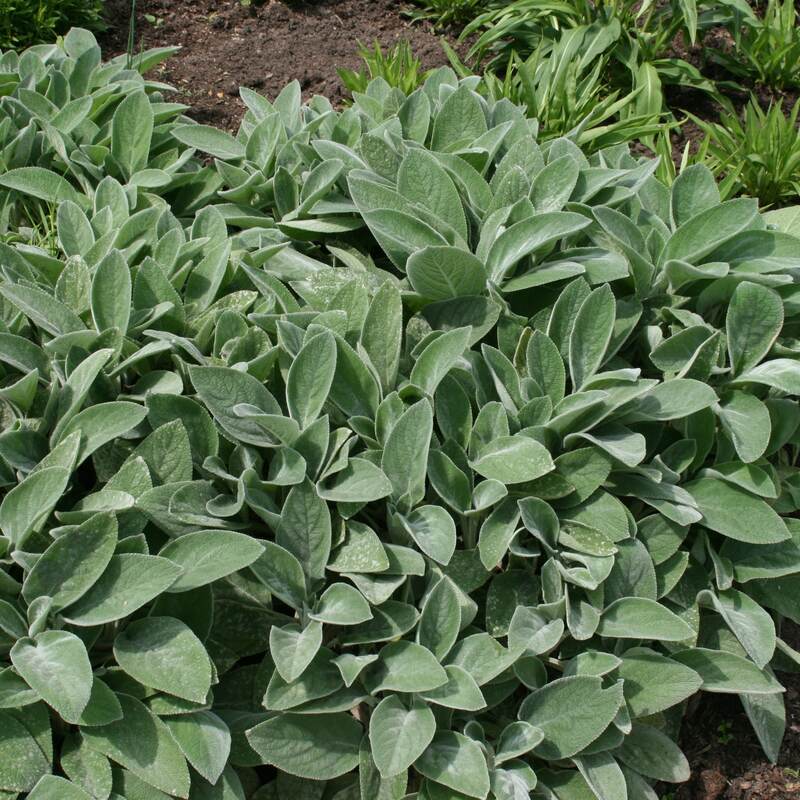 This form of lambs' ears is primarily grown for its leaves, which are larger than other varieties. An excellent groundcover plant for sites in full sun, it's drought tolerant and provides a weed-suppressing carpet for much of the year. Garden care: Lift and divide large clumps in early spring. Love the texture of this plant so plant in an area where its easy to touch! Doing well in semi shaded patch . Its easy to grow. I would buy this plant again. I love using Stachys byzantina as ground cover at the front of my borders and this one is a real beauty, with large attractive silver felted leaves all year around. It does self-seed prolifically which is great if you want more of it but can be a nuisance to weed out if you don't. It goes well in my garden with cistus and lychnis coronaria. Lovely plants! Arrived a little later than I expected but worth the wait. Fantastic condition and well grown, so still beautifully healthy. Very large, very soft leaves are a delight and the tall spires of flowers are loved by the bees too. When should I not plant Big Ears and will it be OK facing west with 5 hours afternoon direct sun? Hello, It will probably grow in around 5 hours of full sun a day, but it wont flourish as well as it normally would in a sunnier spot. What can I plant on a grave? I need ideas for plants on my late wive's grave. I'm no gardener, so it has to be nice and easy with very little maintenance. At the moment I have planted some crocus bulbs and snowdrops, which provide winter and spring colour and I've put in two coloured heathers. People have given me some suggestions, but their idea of gardening and mine are two different things. I do like to see a nice garden, but it is just not my forte`. The site is quite well maintained, and is has plenty of sunshine all day long, the soil is a sandy texture being on the south coast. Your comments and ideas would be most welcome.